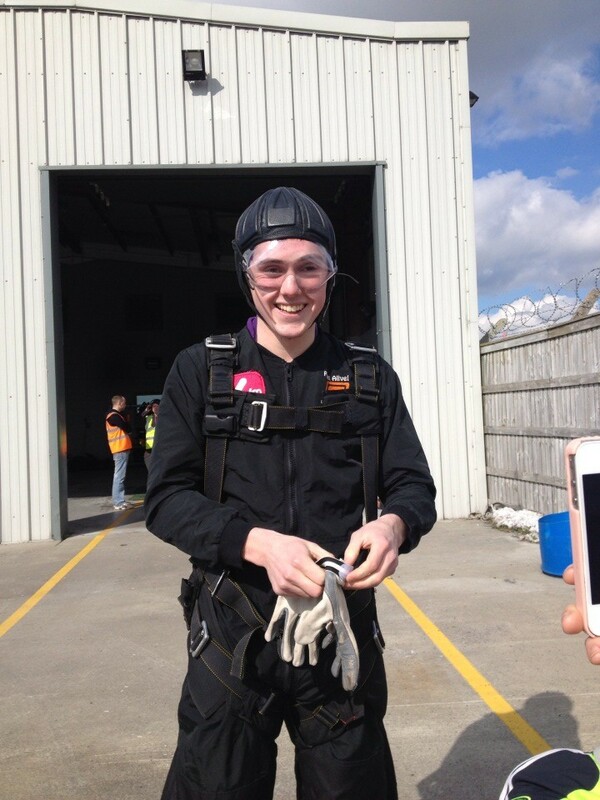 NUI Galway student, James Sweeney (19), completed a charity sky dive on Wednesday 27 March at Galway airport, to raise funds for two nationwide charities. James arranged the jump in conjunction with the Student’s Union and was set a target of reaching €500, half of which would pay for the jump, with the other half going towards his chosen charities, Pieta House and Age Action Ireland. James, currently in his second year in Corporate Law in the University, set himself a personal challenge of at least doubling that number. ”My target was to reach €500, but I wasn’t going to be happy with raising anything less than €1000!” James said. As a result of an all day bucket collection fundraiser in Ryan’s Centra in Ennis, where James is also an employee, he managed to raise well over his target. James couldn’t have picked a better day to do the jump as he glided through a crisp, clear and uncharacteristically sunny Galway morning. James thanked the staff of Skydive Ireland for making the jump possible and said he would happily do another dive in the near future. James was raising money for Pieta House, a centre for the prevention of self-harm and suicide and Age Action Ireland, a charity which promotes positive ageing and better policies and services for older people.